GamerMuscle is back with a review. This time he takes an in-depth look at the Fanatec CSL Elite PS4 Edition F1 Set Force Feedback wheel and pedals. 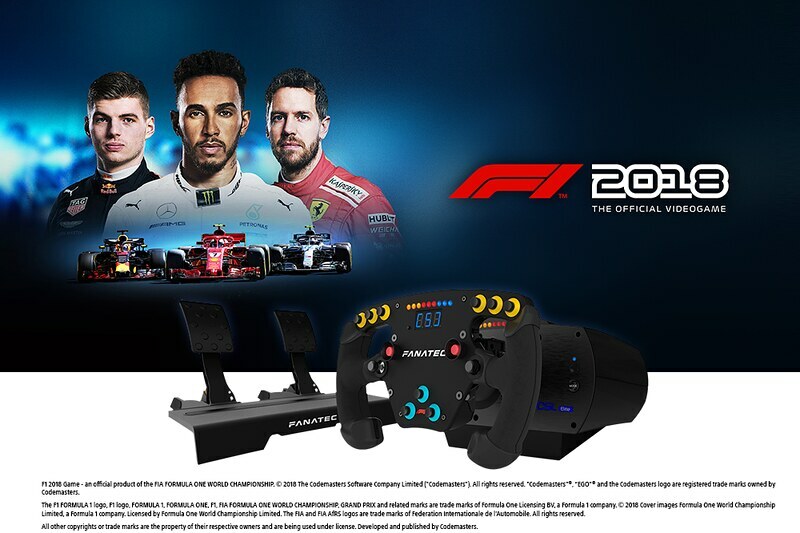 This Fanatec pack includes the ClubSport Steering Wheel Formula 1 Esports rim, the CSL Elite Wheel Base+, and the CSL Elite Pedals. The bundle is compatible with the PC and all PlayStation4 and PlayStation Pro systems. The Fanatec CSL Elite F1 Esports Bundle + F1 2018 game key is available at the Fanatec store for 614.95€ Incl. 19% VAT. The bundle without the F1 Game key is on sale for 599.95€ Incl. 19% VAT. Mounting on cockpits and wheel stands: three hard-mount points on the bottom of the wheelbase. Please refer to the drilling template in the download section for the hole pattern and distances. The hole pattern is identical with the ClubSport Wheel Bases without the angle adapter (three hard-mount holes). Please take note that the CSL Elite Wheel Base (PS4™ version) hole pattern is NOT compatible with the discontinued CSL Seat. Other platforms: Compatibilities to other platforms depending on the used steering wheel. For more information, please check the product page of the steering wheel you plan to use. Before use, please connect the product to a PC, download the latest driver and then update the firmware of the wheel. This assures the latest compatibilities and newest features. No hard-mount screws included. Please read the manual for information about qualified screws.